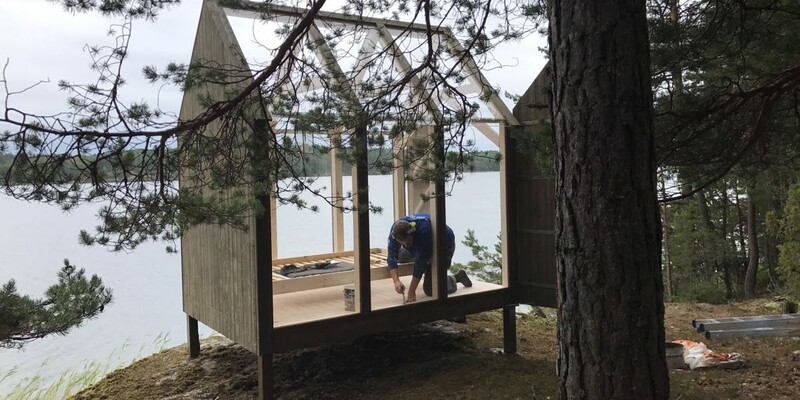 The five glass houses used by participants in The 72 Hour Cabin really are locally sourced as they were designed by Jeanna Berger, daughter of Henriksholm owners Staffan and Maria Berger. Jeanna is studying to be an architect and this autumn she starts a masters programme at Chalmers Tekniska Högskola in Gothenburg. When Jeanna was ready with the design she handed them over to brother-in-law Jonas Fred Hell and his colleague Robert Fridh from Fridh & Hells Bygg AB construction company in Bengtsfors and they realised her vision. 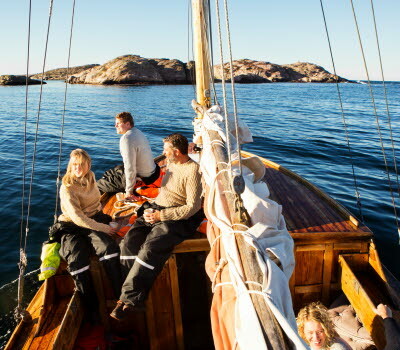 Do you want to experience The 72 Hour Cabin? 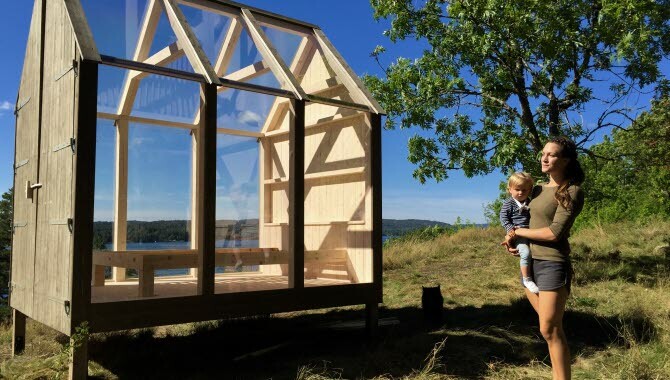 The 72 Hour Cabin is a real eye-catcher sitting as it does on pillars, amidst the gorgeous Dalsland countryside. Jeanna tells us that she was inspired by the barns they have in Dalsland that she played in as a little girl. - I was raised on Henriksholm and I wanted to somehow pay homage to typically Dalsland nature settings. From the very beginning I decided that the house would stand on pillars so that it did not leave a permanent footprint on the environment. I also like to think that the people who will live in them share the same approach to nature. We want to live in natural settings but leave as small a footprint as possible. There is another dimension to putting the houses on pillars; to promote and celebrate playfulness and the complete freedom offered by natural environments. - You can climb up to the house, just like I used to climb trees here on Henriksholm when I was a child, says Jeanna. Building a house turned out to be a logistics exercise of the first order. The first prototype was constructed at Fridh & Hells Bygg’s factory in Bengtsfors and then transported to Henriksholm by truck, trailer, boat and quad-bike. - We had to bring a generator, machines and everything else we needed out to Henriksholm. It’s not every day that you build a glass house in the middle of woodland, beside a lake. It took a great deal of planning, laughs Jonas Hell. The other houses were built on-site at Henriksholm. 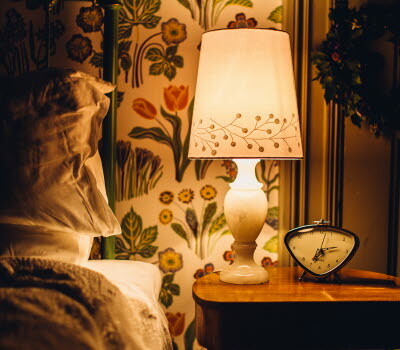 The wood was ordered from Bolist in Bengtsfors and the glass from Bengtsfors Glasmästeri. Just five weeks after completing the design the houses were in place on the island. 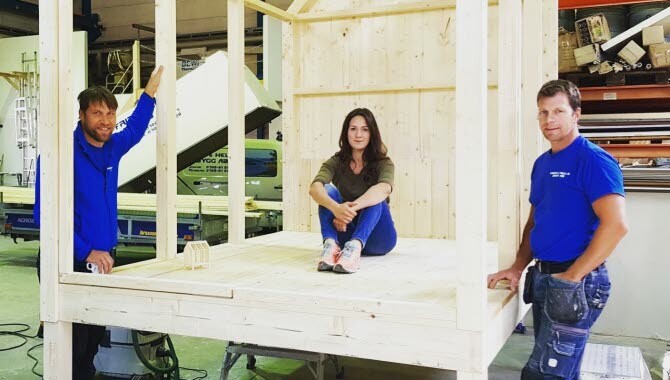 - I am delighted that I got this opportunity and it has been an incredibly enjoyable process to produce the houses for The 72 Hour Cabin, says Jeanna. Jonas Hell, who has been running his company in Bengtsfors for the past seven years, agrees with his sister-in-law. - Jeanna, myself and my colleague Robban are genuine Dalslanders. 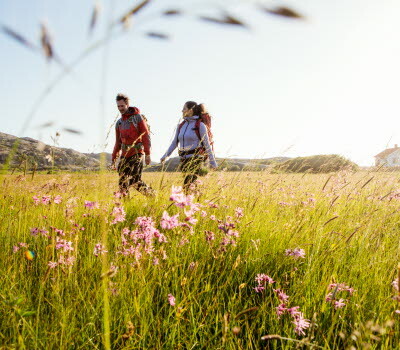 We have a passion for Dalsland and we really would like people to discover how wonderful it is to live here. 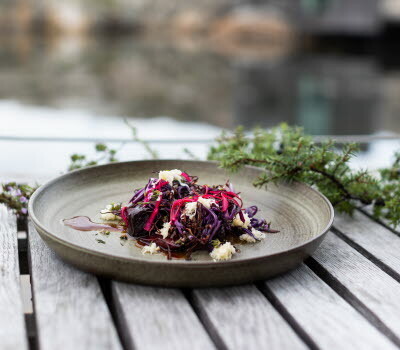 We are just 2 ½ hours from Oslo and Gothenburg and even closer to Karlstad, so we are close to everything, but even closer to nature.